What's the next big thing in wireless? 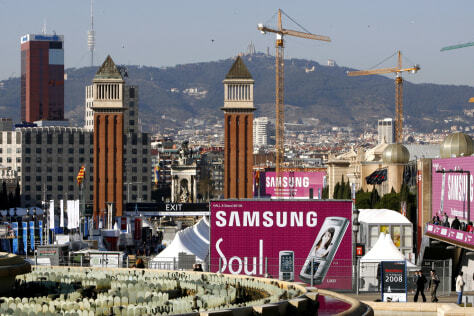 A bird's-eye view of the Mobile World Congress in Barcelona on Feb. 10, 2008. The convergence of cell phones and computer software have forged alliances that would have seemed unlikely a few years ago, including Nokia's inclusion of some MIcrosoft technology on its handsets.